Nail your signature look with this show-stopping top. 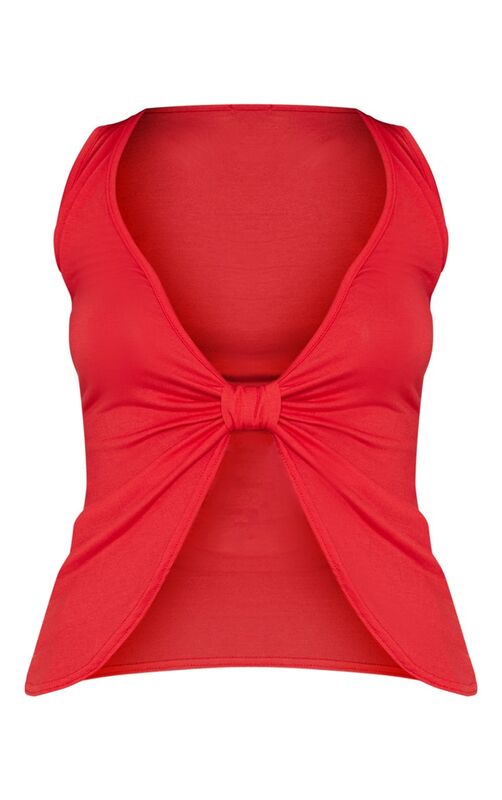 Featuring a red material with a twist front design, sleeveless and a plunging neckline. Team it with leather pants and mules for a killer style with fierce vibes.